As part of their initiative to promote weddings/honeymoons in The Bahamas, the Bahamas Ministry of Tourism and Aviation (MOTA), in conjunction with Paparazzi Proposal, has created the perfect wedding proposal, through the use of social media. Four lucky ladies will get the ultimate proposal in The Bahamas and an opportunity to experience a romantic getaway in paradise. The #sayyesinthebahamas competition commenced 30 October – 15 December 2017. This six-week social media campaign was opened to residents of the United States only. Entrants were encouraged to register on Bahamas.com or Facebook and upload a photo of themselves and a 100-word story on why they hope to have a surprise proposal in The Bahamas. The Bahamas Ministry of Tourism, were encouraged to explore this market further, due to a high demand of wedding proposals in The Bahamas. Weddings/Honeymoons is their number one niche market and this new initiative fits in well with the Romance Industry. The proposals can be viewed on social media during the month of February. As well as their surprise proposal, couples will have the opportunity to choose their Island of choice when they opt for various excursions/tours, to include cultural and heritage tours. 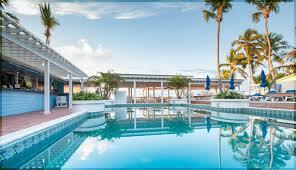 This will allow them the opportunity to sample an authentic Bahamian experience.